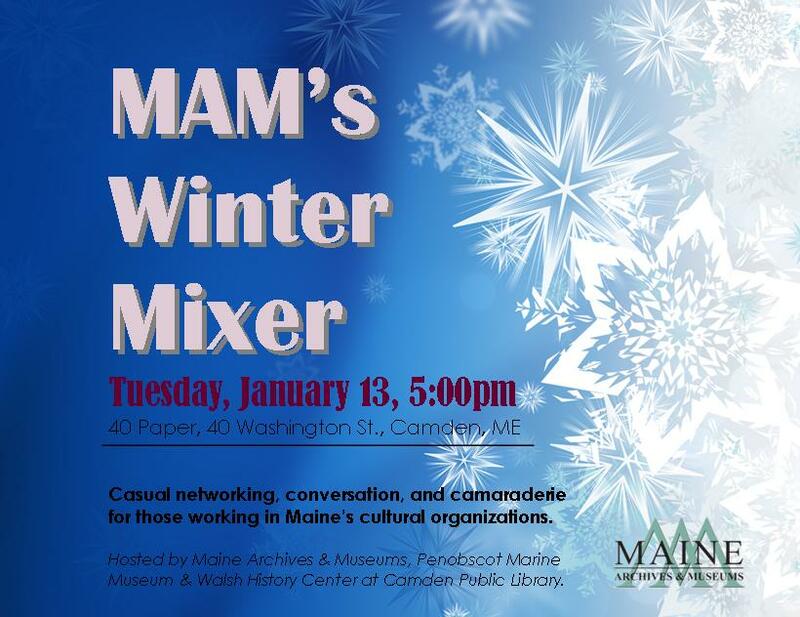 Join Erin Bishop, Maine Archives & Museums, Kathy Goldner, Penobscot Marine Museum, and Heather Moran, Walsh History Center, Camden Public Library for an informal get together of like-minded colleagues working at Maine's cultural organizations. Our goal: shoot the breeze, enjoy a glass of wine, meet old friends and make new ones with an eye to fostering future partnerships & collaborations (and have a good time on a cold winter's night! ).